The Tax Foundation calculates that April 21 is 2014’s Tax Freedom Day. In other words, the earnings of the 2,654.4 hours of the first 110.6 days go to the government. Then our earnings can finally be our own. For every 8-hour workday, we labor for 2 hours and 26 minutes to pay federal, state and local taxes. Without taxes, you could leave your job every day at 2:34 p.m. and earn the same salary. One hour and 7 minutes goes to corporate and personal income taxes, which were unconstitutional until 1913. Eliminating this tax on productive earnings would eliminate 46.24% of the tax burden. It would also allow us to keep our finances private. If the American people could keep these earnings, instead of turning them over to the federal, state and local governments, they could pay for almost all of their housing costs. They currently have to work for an additional 1 hour 9 minutes just to afford them. 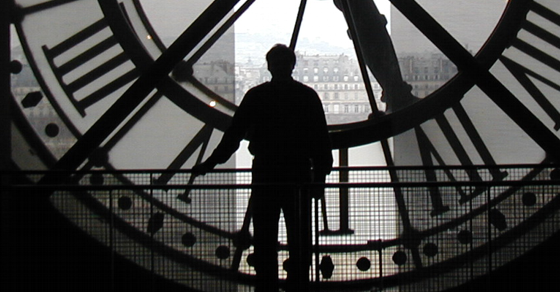 A total of 35 minutes of the 8-hour workday pays for Social Security and Medicare. If Social Security was privatized, instead of constantly decreasing benefits, personal retirement accounts would be overfunded. We dedicate an average of 20 minutes of our labor to personal savings. It should be more like 1 hour and 12 minutes. An additional 19 minutes goes to consumption taxes like excise and sales tax. Some people suggest our country could operate on a “fair tax” of entirely sales taxes. But such a method of taxation has its own problems. Critics counter that a national sales tax is regressive, favoring the rich (although this depends on how you measure “rich”). They claim foreign companies would have an unfair advantage in the international market over their domestic counterparts. Fifteen minutes of each workday goes to property taxes. Even renters pay this tax as businesses and landlords pass the expense on to them. Property taxes are highest for city dwellers because real estate assessments increase in proximity to a big city. Thus they tend to be a regressive tax, taxing the poor who live in relatively highly assessed areas and shop at stores with higher assessed buildings whose high property taxes trickle down into their prices. 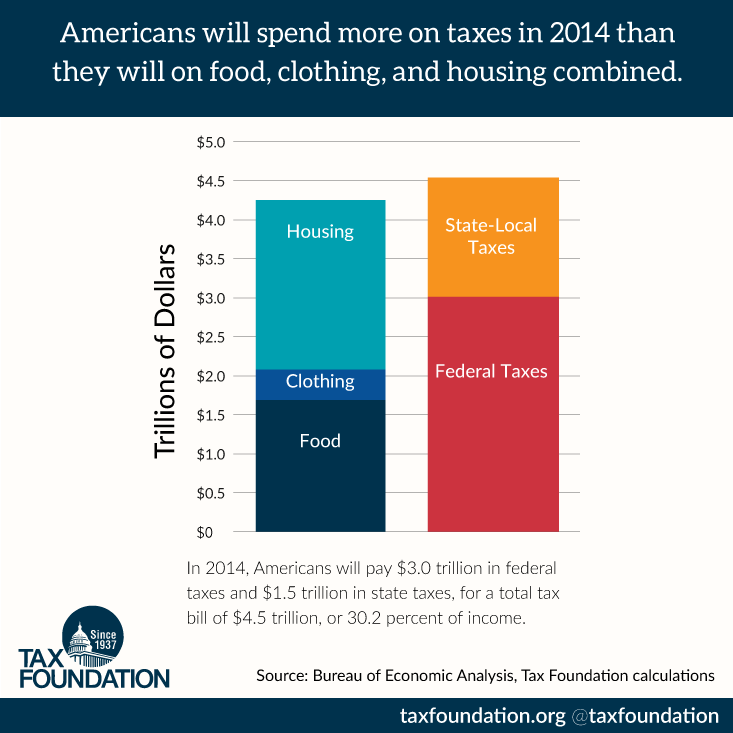 For the price of property taxes, average workers could purchase all of their clothing. As it is, workers have to labor an extra 13 minutes to afford their clothes. The final 9 minutes go to other state, federal and local taxes. Only since 1992 have Americans paid more for government programs than we spend on food, clothing and medical care combined. For the money we pay in taxes, the federal government could provide universal health coverage as well as feed and clothe us. From the birth of the nation in 1776 until the early 1930s, federal spending during peaceful periods never exceeded 3% of national income. In 1913, when the Sixteenth Amendment allowed the federal government to tax the income of individuals directly, Tax Freedom Day was January 30. Over a century later, we’re laboring 80 days longer for the government. The total effective tax rate did not permanently surpass 10% until FDR’s New Deal legislation in 1930. Total taxes passed 25% during the Great Society programs in the 1960s. The effective tax rate is currently 30%. In 1900, taxes took $1 of every $12 of earnings from American workers. Today, they take $4. Tax Freedom Day is bad enough, but the government spends even more than it collects. Deficit Day stretches an additional 15 days until May 6. This deficit spending and the money the government prints to pay for it produce the hidden tax of inflation. The purposes of federal spending have also changed gradually. In 1962 defense spending was 49% of the budget. Health and Social Security totaled 14%. Today those proportions are reversed, with defense reduced to 18% and Medicare and Social Security taking 48% and growing rapidly. Many Americans believe that tax rates should be increasingly punitive. In the guise of spreading the wealth around or making health care more affordable, we have allowed politicians to take control of an increasing share of each year’s production. The government isn’t even altruistic enough to spread the wealth around. They collect enough to pay for the basic needs of each and every American and yet don’t. The government has a spending problem. We are already taxed enough. We need a budget that allows government to live within its means.